Lovers of Scotch whisky know that there are several different regions within Scotland that produce the spirit. The different regions often produce their own, unique flavors. 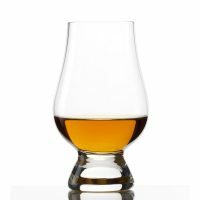 Pursuitist has decided to do a simple rundown of the five different regions, and offer up one Scotch recommendation from each. We’ve kept our recommendations simple and accessible. It should be noted that the variety of Scotch whiskies is endless. There are hundreds of distilleries, each producing many different expressions. Each should be enjoyed for its own merits – there are amazing single malts and blends to discover. Campbeltown: Once the home of nearly 30 distilleries, Campbeltown now only has Glen Scotia, Glengyle, and Springbank. Campbletown is located on the Kintyre peninsula on the west coast of Scotland, jutting out into the sea. Many of the Scotches from the region are rich in peat and brine. We’re going to recommend the Glen Scotia 16 single malt – salty and spicy and lots of character. A bottle will run about $65. Highland: The north of Scotland produces a wide range of Scotches due, so there’s really no one or two defining characteristics of the region’s spirits. We counted upwards of three dozen active distilleries in the area, including Glenmorangie, Oban and Dalmore. The Highlands also includes a sub-region of Scotch distilleries called the Islands – a group of islands (as you expect) off the northwest coast of Scotland. The Islands have some famous distilleries, including Highland Park, Scapa and Talisker. 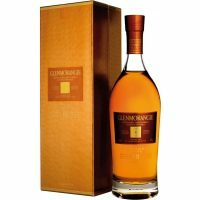 To represent the region, we’re selecting the amazing Glenmorangie 18, a thick, chewy Scotch aged 15 years in old bourbon barrels, then finished in sherry casks. A bottle runs about $100. Islay: An island off the west coast of Scotland, Islay produces some of the smokiest and peatiest Scotch whiskies. The island has eight distilleries, including Ardbeg, Bowmore, Bruichladdich, Bunnahabhain, Caol Ila, Kilchoman, Lagavulin, and Laphroaig. We’re going to recommend the basic Laphroaig 10 – a robust single malt loaded with smoke, peat and spices. A bottle runs about $40-50. Be warned, Laphroaig can be a polarizing Scotch due to the peatiness. But we love the character, and encourage whisky fans to give it a try even if to just understand one end of the Scotch spectrum. Lowland: Geographically, the Lowland region is – as you would imagine – in the lower (or southern) part of Scotland. You’ll find four active distilleries in the region (although several others are reportedly in the works), including Ailsa Bay, Auchentoshan, Bladnoch and Glenkinchie. Lowland Scotch is often considered lighter in body. 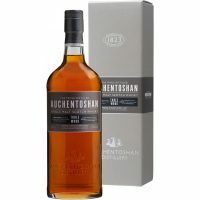 We’re going to recommend the Auchentoshan Three Wood, a wonderful single malt whisky matured in three different casks (two different sherries and one bourbon). A bottle will cost about $50. Speyside: Located in the northeast of Scotland, in the area around the River Spey, the Speyside reigion produces some of the most famous Scotches in the world, including The Maccallan, Balvenie, Cragganmore, Glenfiddich, Glenlivet and many more. There are over 100 distilleries in the region, roughly half of all the distilleries in Scotland. Speyside whisky is often considered complex and more accessible than other Scotches. It’s difficult to pick one Scotch with so many great options, but we’re going to go simple and classic with The Macallan 12 Sherry Oak. This is a classic – crisp and sweet with a nice body. You can get a bottle for around $50. Explore and enjoy – that’s one of the great things about Scotch whisky. The regions and various distillers offer so many options, and everyone has a different palate, so there’s so much to discover.